I started working in a photography studio in 2003. I formed my own business in 2006. I started with a modest home studio, working in the evenings and weekends on my “dream job” while working the day job during the week. In 2014 I opened my first commercial studio, and in 2015 I quit the “day job” to run my studio full time, and spend more time with my family. My first studio was 900 square feet, and I was absolutely terrified to sign the lease. It was absolutely the BEST decision for my business, my family and my marriage (getting all the props out of my home studio and garage was a marriage-saver!). Today, I have a 1200 square foot studio store front, just off of Main Street, and I still get chills every time I pull up to the parking lot. I still can’t believe that all the years of hard work have paid off and I am living my dream. My parents gave me a camera for my 9th birthday- ever since then, I have been enamoured with the ability to freeze time, and capture a moment forever. I began photographing my family, friends and pets from a very young age. 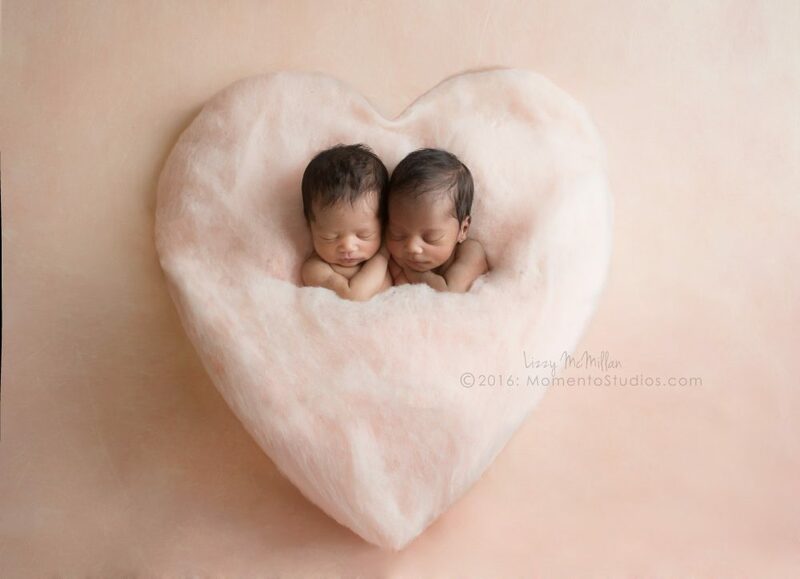 When I became a mother myself, I began to realize the importance and value in family photography even more. So often mothers are behind the camera, documenting their family. I see the work that I do in documenting maternity, birth and newborn portraits as me documenting a family’s history, stopping time for a moment. With the influx of cell phone snapshots, and 1000s of images on a hard drive but minimal images printed out- I see the importance of documenting and printing the images of my client’s history, so their future generations are able to see their own visual history. I have 3 young children: Maxine (7) Everett (4.5) and Violet (16 months) and an AMAZING husband, Andy. Andy is also an entrepreneur and both he and the grandparents watch the kiddos while I travel. Andy is very supportive, and pushes me to continue to chase my dreams. I absolutely love connecting with my clients, and finding unique ways to incorporate their personalities and style into the art I create for them. Secondly, I love watching families grow! Photographing a clients’ family as they’ve grown from their first pregnancy to their 4th is an incredible feeling: knowing they’ve trusted me with capturing each chapter of their story. When I first started in 2006, Facebook was only for university students and youtube didn’t exist! 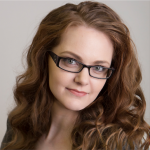 Most of my marketing was word of mouth and client referrals. One of my biggest referral partners is a local OBGYN office. I partnered with the office and donated artwork for the waiting room and exam rooms, and also include literature in all of their welcome bags- this has been tremendously helpful in growing my business. I am smitten with Honest Company Lavender Scent Hand Sanitizer- I use it in every session. (You can find it at Target in the baby section). Secondly, I love the Bambina head posing ring, and use it in every session. This is a joke right? How can I choose just one?? Honestly- I would have to say any of the amazing handmade prop clothing creations from Sew Perfect Props. My mom is the incredible seamstress behind the tiny creations, and I absolutely love that she is able to follow her dream of sewing and working for herself. I always love questions like this. 13 years ago I started a “Photography Dream Journal” and keep a running list of dreams: places to travel, people or concepts I want to photograph, business goals I want to achieve. I continually add to this journal, and look back through it to see how far I’ve come. 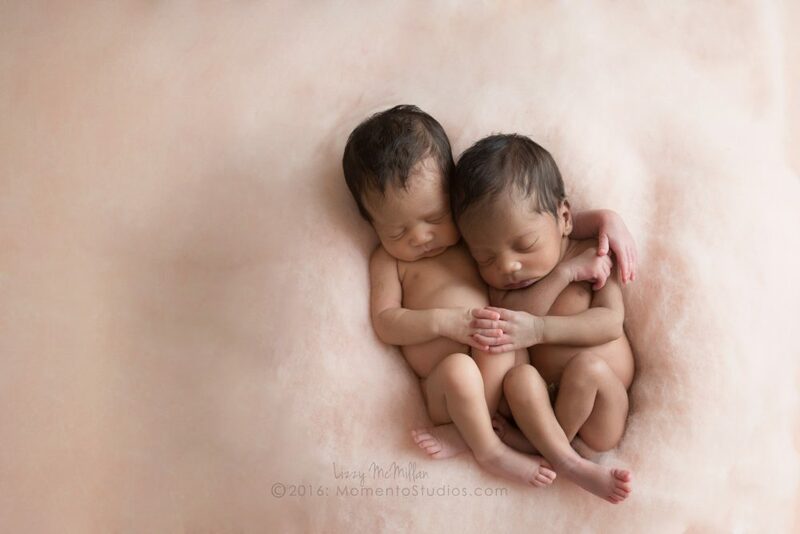 Eight years ago I wrote that I wanted to photograph “A set of twins”… and we all know where that dream took me! Currently my family is too “young” to comfortably travel with me when I teach or have out of town clients. In the future, I would love to be able to include them on my adventures and have them travel with me to see the world. One of my teaching dreams/goals is to teach in Italy- and I would love to have my husband accompany me. When I first started my photography journey, there were little to no resources for newer photographers. I love people, and love sharing my knowledge: in the future I would love to be able to teach more, and be a resource for newer photographers. We have a saying in our family “McMillans never give up” My older two kids have started repeating this now, and it is wonderful to hear their drive and determination. For over 10 years I dreamed about “someday” working for myself, and having a commercial studio outside of my home. It was a very difficult road: balancing a full time job (working 70+ hours a week), completing my MBA, multiple pregnancies, moving, buying a home, and the financial roller coaster of my husband’s small business. I knew in my heart that the ultimate goal was working form myself, turning my passion for photography into my full-time gig, and having the flexibility to spend more time with my family. I would tell my children: Life is tough. Being a small business owner is tough. But you are a McMillan- and McMillans never give up. It’s so important to find your own style as an artist. In the beginning, I started out photographing what I thought was “expected” and it took a while to really find myself in my art. Anyone can copy another photographer’s props, styling, light etc. But creating true art requires you to be creative, think about ideas and concepts in a new way- and not be affraid of what anyone else thinks. I consistently challenge myself to create art that I haven’t seen on Pinterest, or in a Facebook group. I absolutely draw inspiration from others (we all do) but I challenge myself to push myself beyond creating a carbon copy. Another HUGE HUGE HUGE piece of advice that I was VERY blessed with to have a mentor drill in to me in the beginning was the ABSOLUTE NECESSITY of operating a legitimate business from the very beginning. My mentor made me apply for my LLC, and for business liability insurance before I ever took a paying client. At the time, I was a college student, and I remember telling him “I can’t afford to pay for liability insurance” to which he promptly replied: “If you cannot pay for liability insurance, you have no business being a small business owner yet”. His words hurt- but they were so very true. 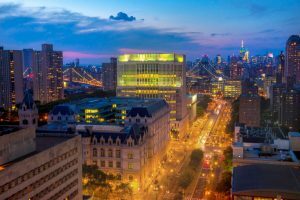 Operating a legitimate business with a license, insurance and collecting taxes (as applicable per your state) is essential to helping our entire industry grow. Lizzy’s love affair with photography began at a very young age, when her parents gave her a Polaroid camera for her 9th birthday. She would pose and capture images of the neighbor-kids her mom babysat, delivering the finished “product” to their parents proudly. In high school she dabbled in film photography and would get lost in the darkroom for hours. Lizzy received her Bachelors of Arts in Journalism with a minor in Photojournalism at the Walter Cronkite School of Journalism at Arizona State University. 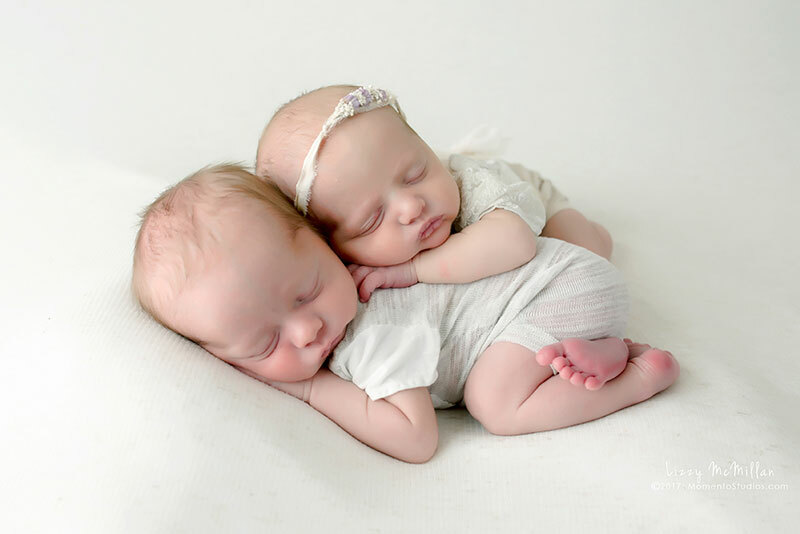 While in college, she worked as a staff photographer for a children’s portrait studio for 3 years, earning the Certified Professional Children’s Photographer distinction. Additionally, she worked as an apprentice-wedding photographer for 5 years. 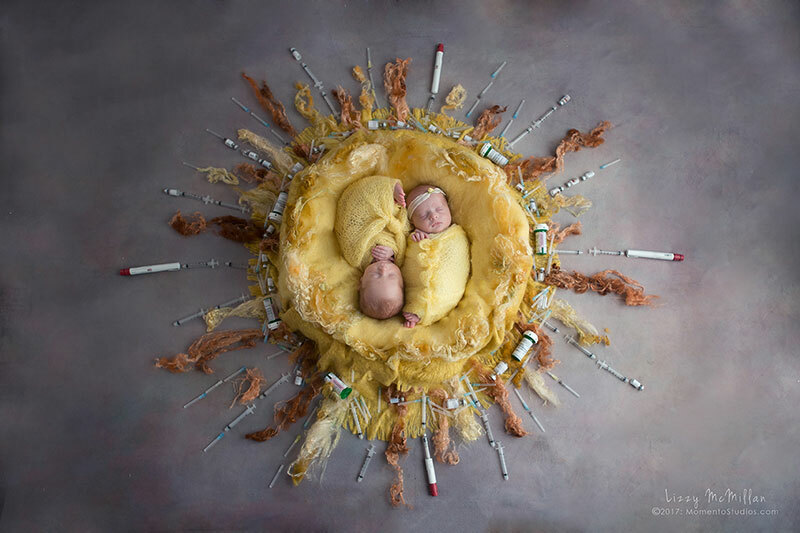 When the brides she had photographed began to start their families, Lizzy found her true calling:capturing the beauty of motherhood and creating newborn art. 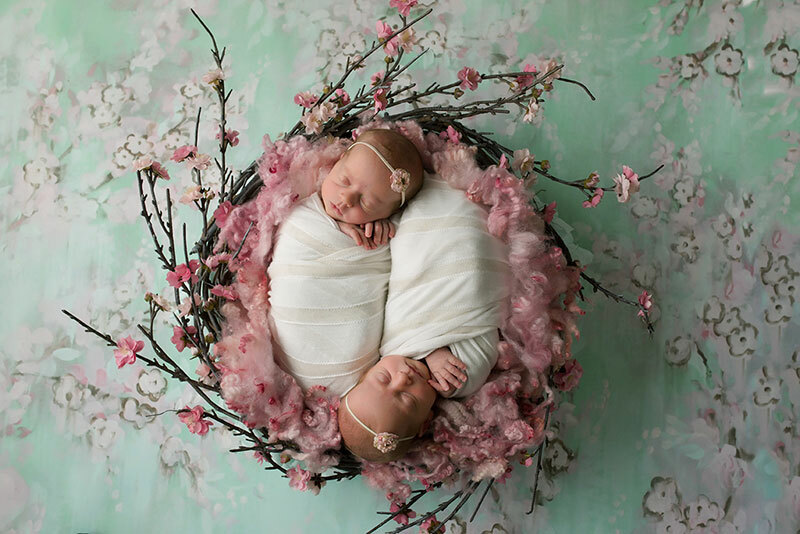 Since 2003, she has furthered her education and craft, concentrating on the art of newborn and maternity photography. 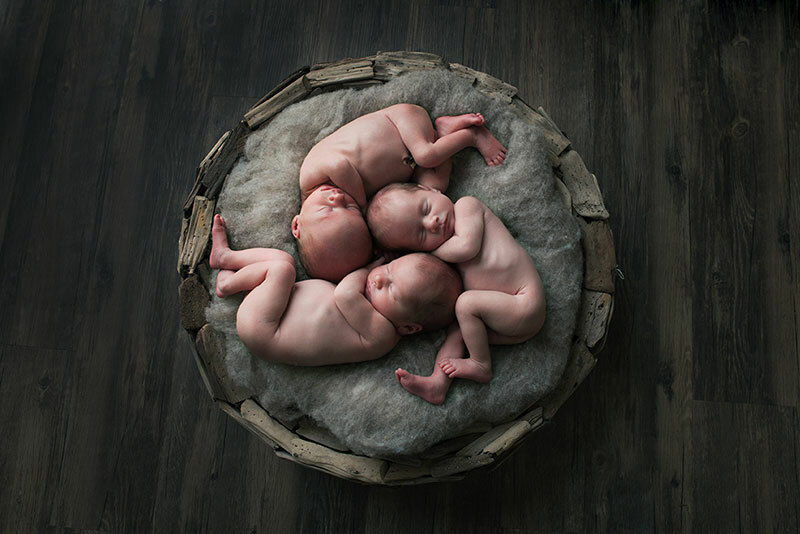 In addition to photographing over 800 newborns, Lizzy completed her Master’s degree in Small Business Administration in 2011, added a certification in Project Management in 2013, and is currently a Declared Certified Professional Photographer candidate through the Professional Photographers of America (PPA). 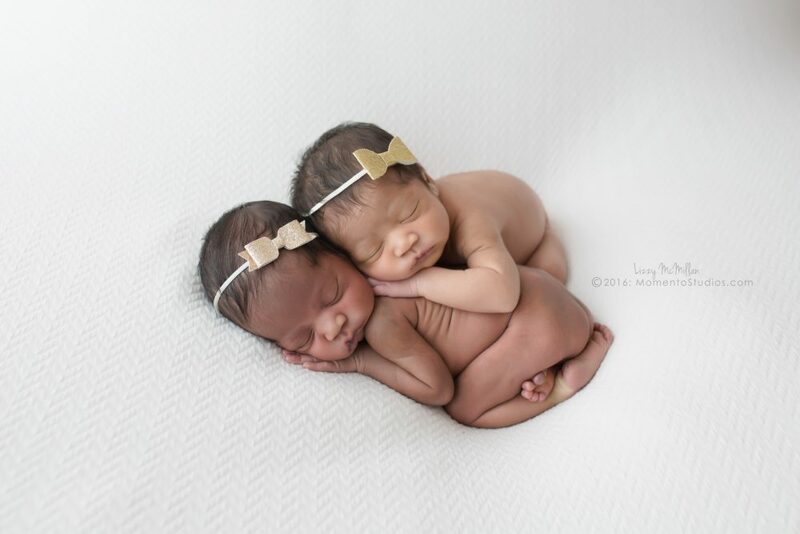 Her newborn art has garnered several awards, and she is proud to teach on working with newborn multiples through PPA. 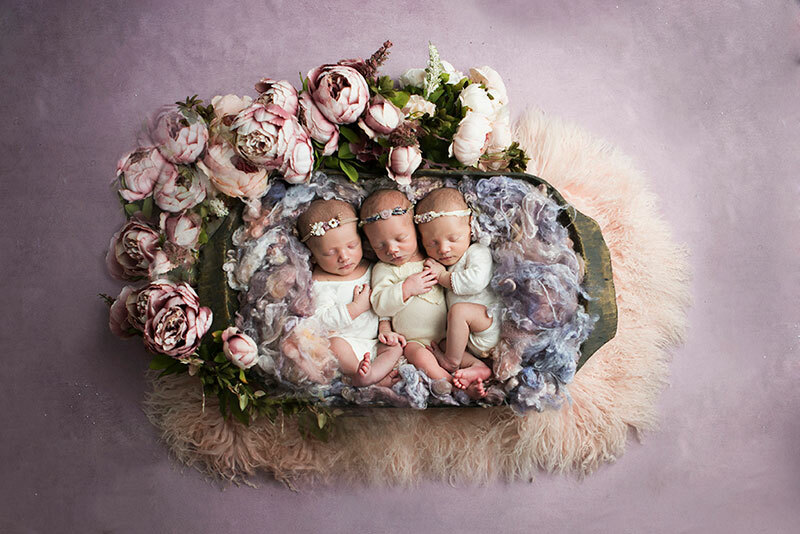 Lizzy operates a boutique maternity and newborn studio, Momento Studios, in Downtown Mesa, Arizona. 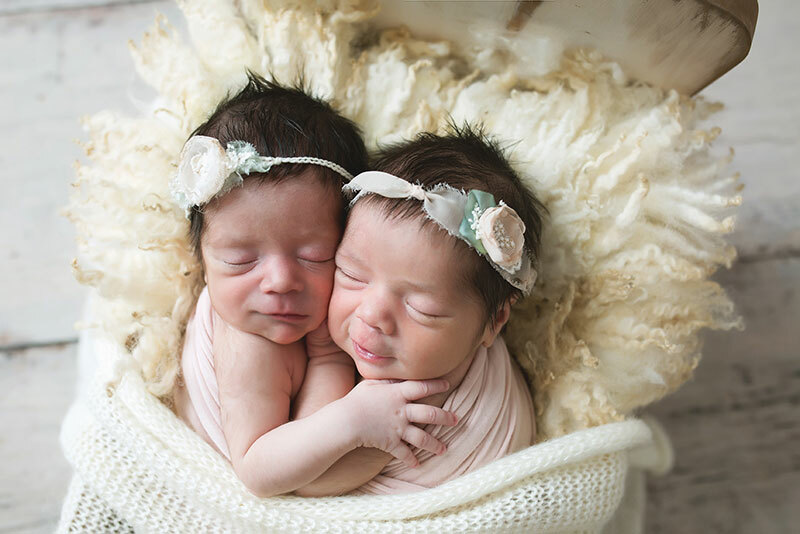 Over the years, her clients have given her the hard-earned moniker: The Newborn Whisperer™. 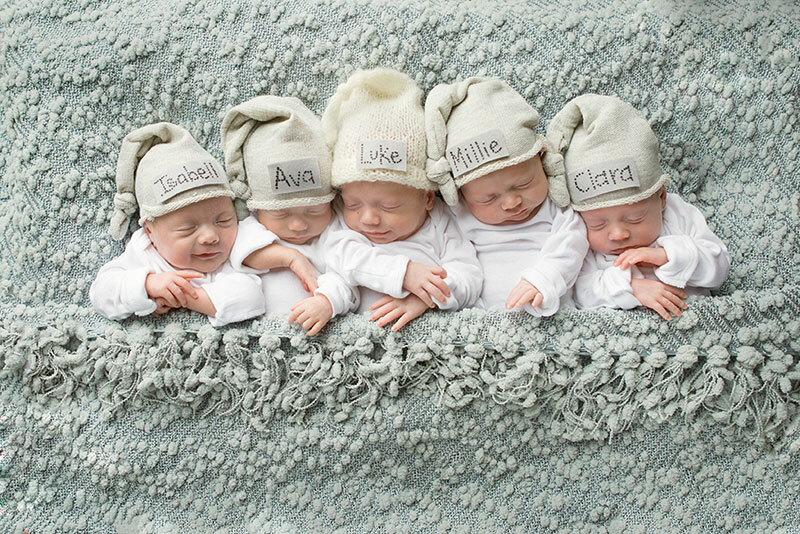 Along her journey, she began specializing in the photography of newborn multiples, and gained a second moniker: The Multiples Whisperer™. 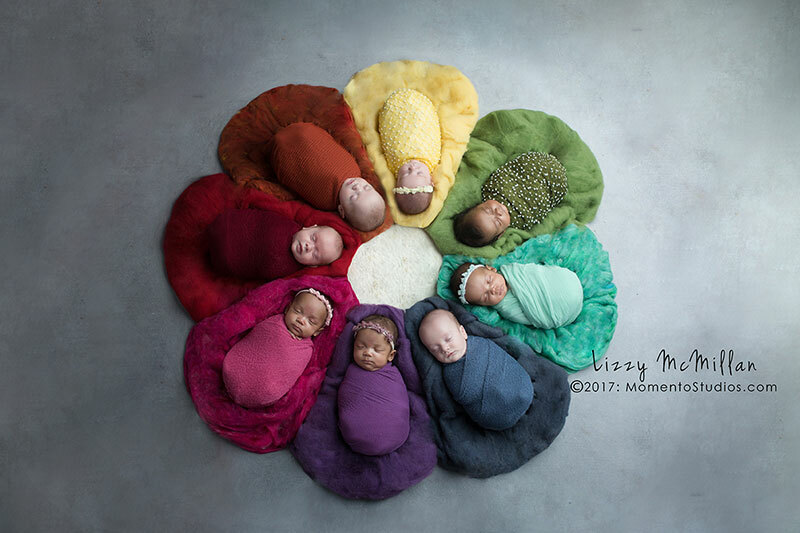 Lizzy has the most extensive experience and portfolio in Arizona for photographing newborn twins, triplets, quadruplets and quintuplets. Simply put, multiples own her heart! As a mother to 3 young children, Lizzy knows how fleeting the moments of childhood are, and considers it an honor and privilege to be able to freeze time to preserve those moments for her clients.